Spring Break starts on March 12 so Spring must be just around the corner. The snow is melting (well, the rain is making the piles get smaller quickly). Daytime temperatures are becoming more comfortable (it was 8 degrees C Wednesday). Snow is in the forecast for Friday. Time to make new signs. 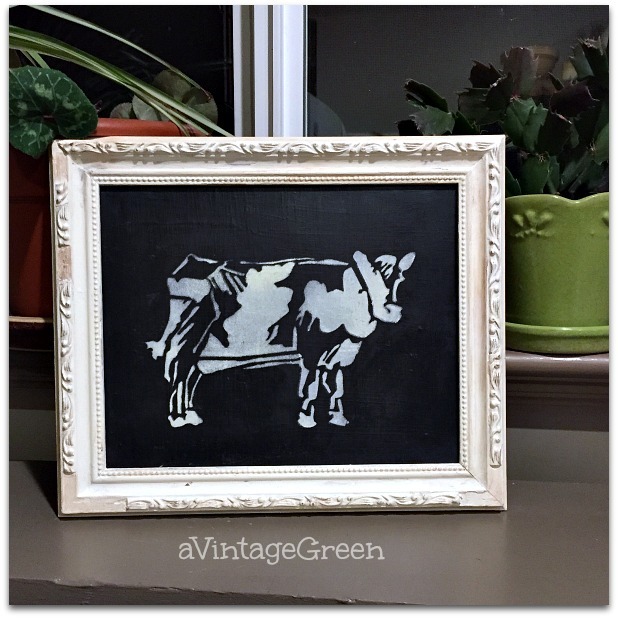 First March Project - used a new stencil from Muddaritaville - a cow - which I stenciled on an small piece of masonite already painted with black chalkboard paint. The black chalkboard masonite was cut to fit into the gold slightly fancy frame that had some missing bits. 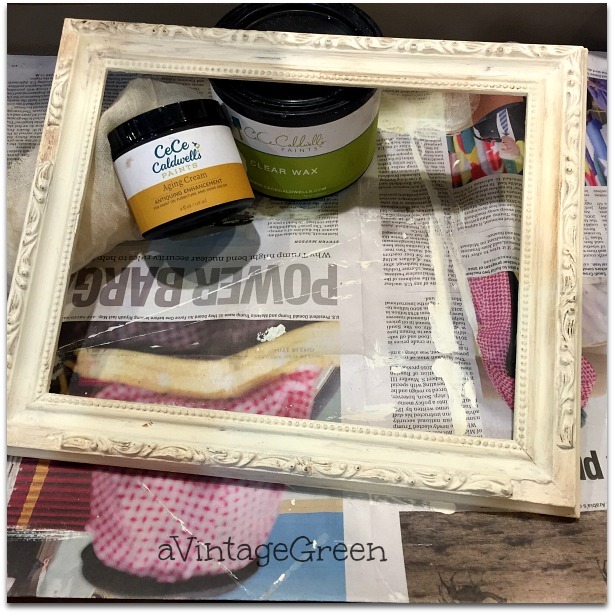 I painted the frame with 2 coats of CeCe Caldwell Antique White chalk paint, sanded just a bit and clear waxed and then, using my finger tip, added Aging Cream. Buffed a bit and did tidy-ups with clear wax. 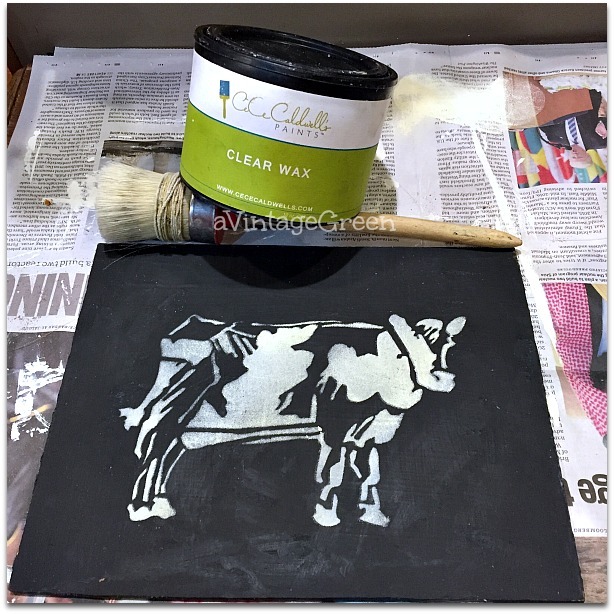 For the cow stencil I used CeCe Caldwell's Daffodil chalk like paint and when dry, Clear Wax and buffed. Next - the rest of the stencil. A lovely rusty saw was handy. 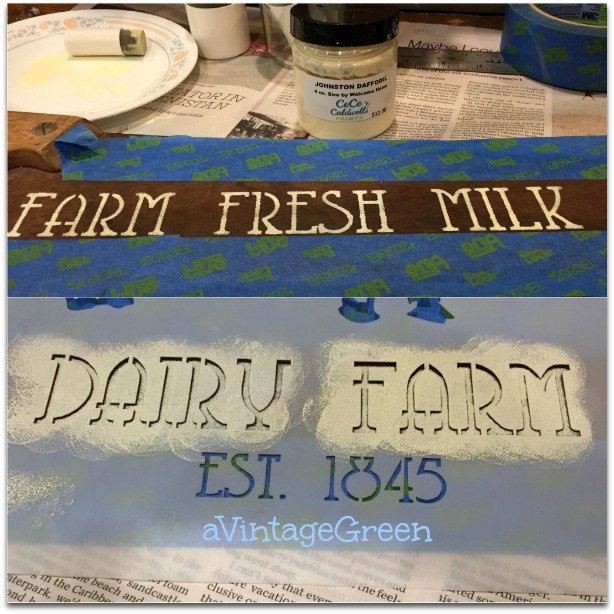 FARM FRESH MILK DAIRY FARM on the cow stencil fit into the space so with some measuring and blue tape the sign was ready to stencil. Used Daffodil by CeCe Caldwell - a hint of spring. 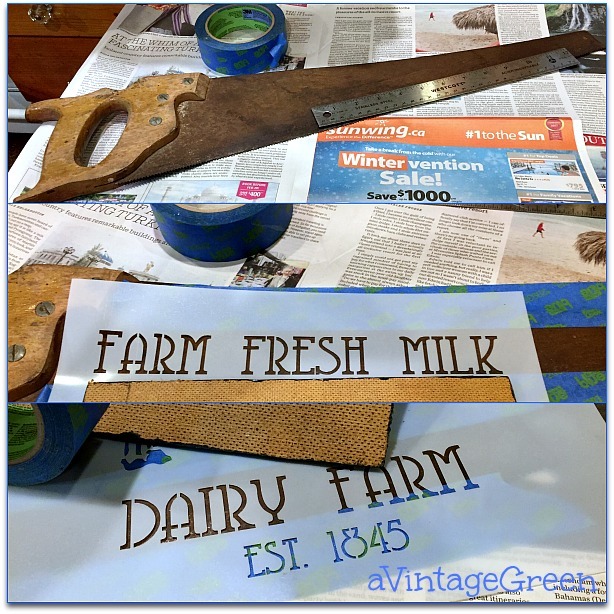 The letter size on the stencil worked well on the saw. 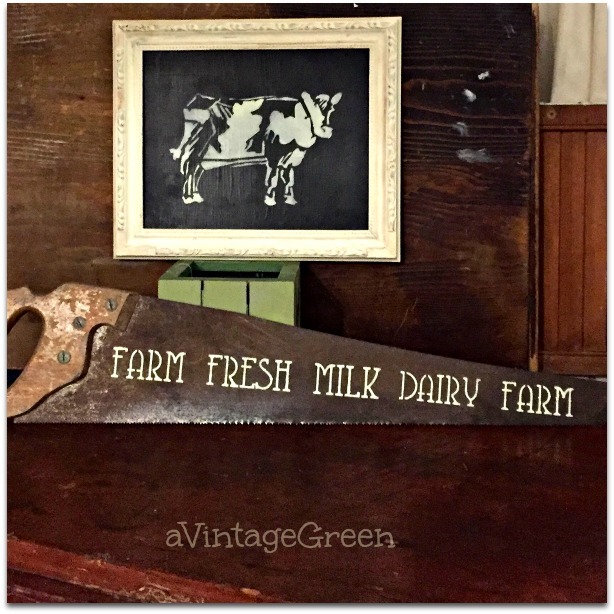 It has been awhile since I added a stencil to a saw. Another reminder that winter is not quite finished here. This was last Saturday - by Sunday late afternoon snow was piled along road and sidewalk edges, covered the lawns and the snowmen and forts the kids across the street built were beginning to shrink. Primula do fairly well outside even in cold weather (not frost though). No spring flowers trying to bloom this week, the leaves that were showing where the crocus, tulips, daffodils, snowdrops and hyacyanths are planted are still buried under the snow. March tiptoed in - sunshine, blue sky with fluffy white clouds. So I added an 'outside in the sunshine' end to this post. I am planning what to plant in my small vegetable garden and in my front flower boxes. The Rosemary plants lasted through the winter. Guessing March will also be a 'flying past too fast' month as did February. Your projects are amazing Joy. Stay warm! love your rustic country DIY decor projects! - and your tulips are stunning! The florist is also the only way we can get them now, too - Connecticut is still enjoying (?!) winter. Thanks for sharing - and Happy Pink Saturday! Both of your stencils turned out so nice! 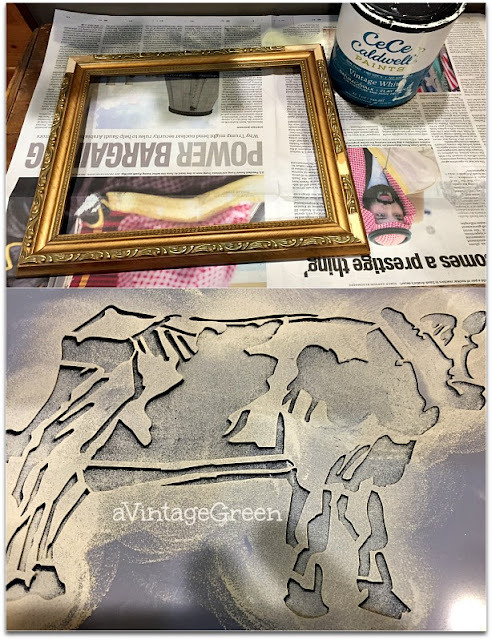 I especially love the cow stencil. Thank you for sharing with us! Oh my goodness that saw is just amazing!! I am on the hunt for one now. 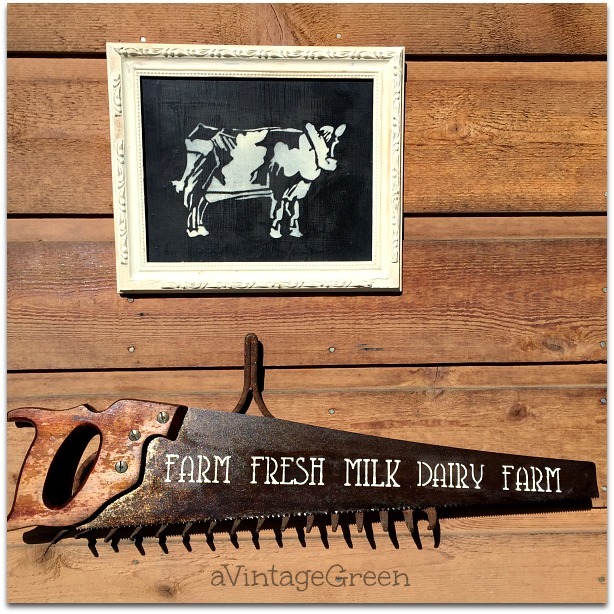 I like those old saws and you figure out the neatest projects. And yes...March if flying by! Hope you have nice weather soon! Hugs! 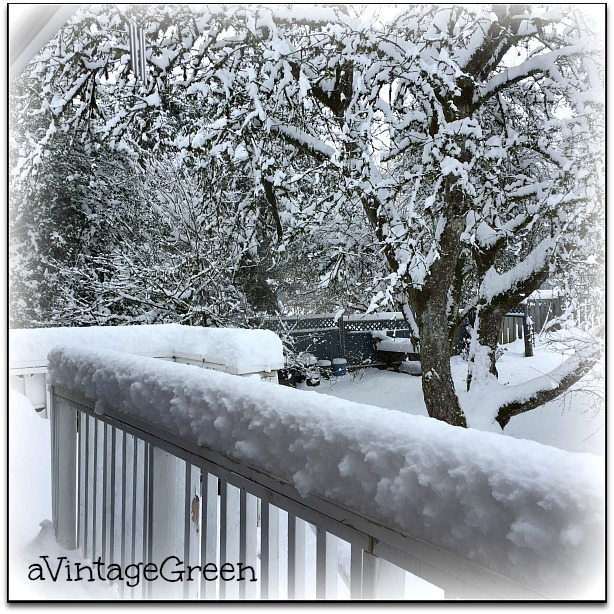 So much snow in the lower mainland, and it skipped Victoria completely. I was hoping for one more wintry blast. Cute projects! 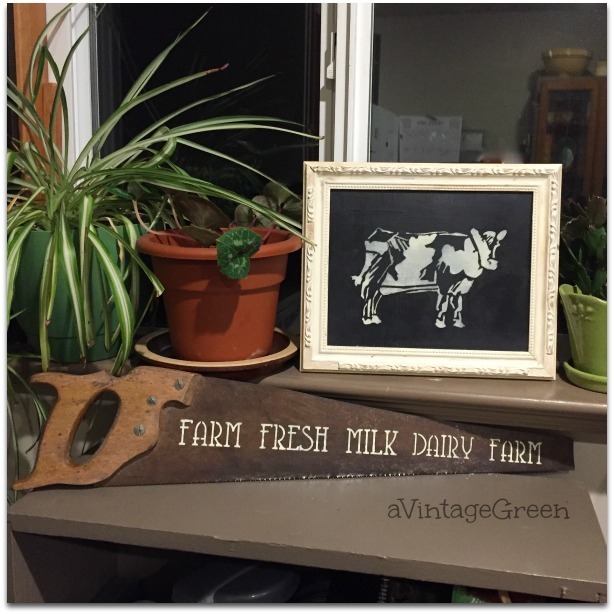 Morning Joy, love the cow picture it's fab! 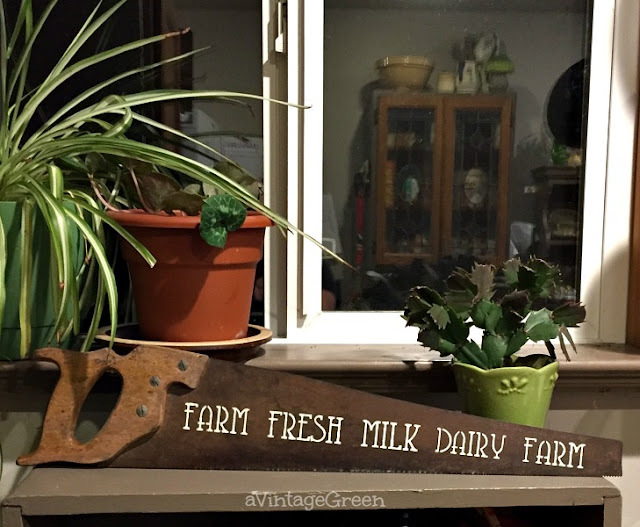 The font on the saw is rustic and stylish at the same time, a perfect fit as you say. 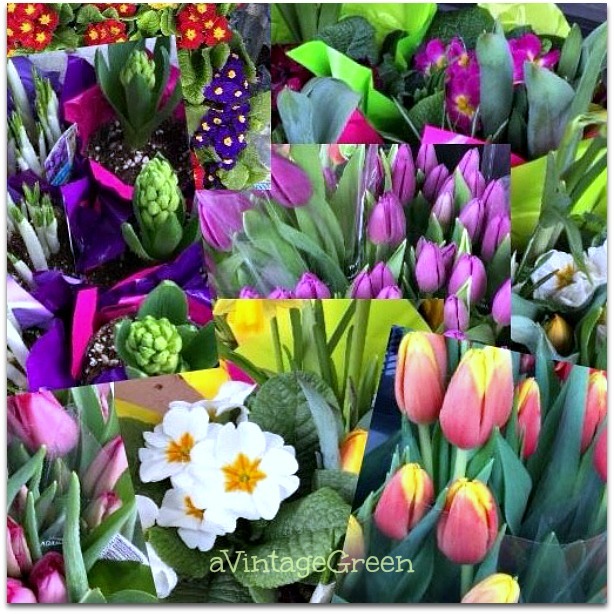 Beautiful flower mosaic just what we need when snow and blizzards are raging outside. Have a wonderful week.